We declare a spirit of thanksgiving, joy and praise will arise from Your people as they increasingly walk under the Headship of Jesus, that in the unity that comes through Kingdom purpose, they will exercise fearless love and a sacrificial lifestyle reaching across divisions and demonstrating Kingdom reconciliation. We declare the fullness of Your love, from Your people and between Your people will be fully released, that all communities divided through religion, culture, social status or political opinion will be healed. Now, we come into agreement with Psalm 29, and we declare “Your Voice shakes the wilderness …and causes the deer to give birth, it strips the forest bare”. 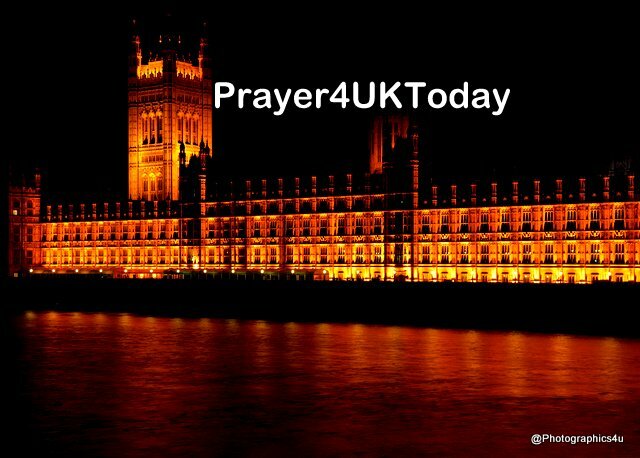 We declare Your Voice will arise, silencing every other voice, and we speak to this nation and we declare, a Highway of Holiness will arise, building a path, creating a way, that every purpose held in Heaven for the United KIngdom will be fulfilled. We decree and declare the new season God has planned for this land, will be delivered, in full, in order and on time. In the Name of Jesus, we silence every opposing voice, network, agenda, manipulation, foolishness and control. We decree and declare the outworking of every decision and vote taking place this week will position this nation for God’s Kingdom purpose, in the Name of Jesus. Remember THIS Saturday: “The Nation’s Future – A Kingdom Opportunity”. What a strategic Moment! God has been releasing new revelation for this season – come and be envisioned on how we can pray and have an opportunity to do so! City Church; St Albans; Lyon Way; AL4 0LB. Saturday 2nd February 2019 10.00am until 2pm. Email us on info@pftn.uk for more information.